Exploring the connection between individual food waste and the global scale of food production, "One Third" is an extraordinary series of abstract still lifes of rotting food. 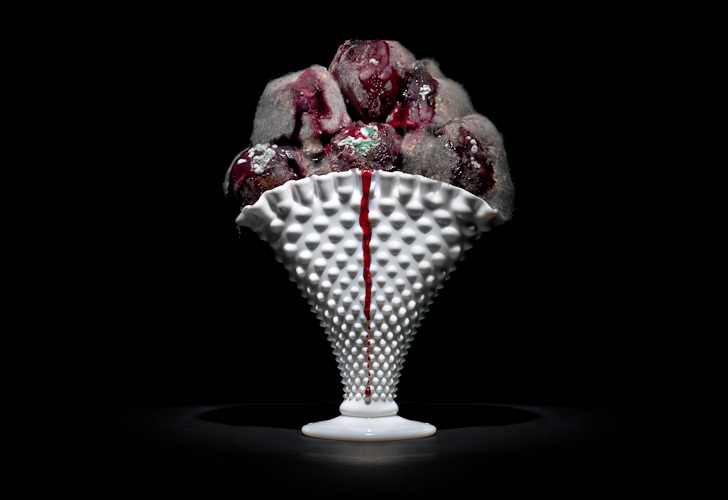 Photographer Klaus Pichler took the exhibition's title from a UN study that states that one third of the world's food goes to waste. As a result, Klaus decided to highlight the amount of effort and energy that goes into producing everything we consume - and how much we discard. His amazing portrayals of the waste are beautifully composed, yet on closer inspection mould is visbly creeping over the old food. Each photograph comes complete with information about the harvest of the food. The Vienna-based photographer details the exact location, time of year, and cultivation method used for each produce. He also examines how much energy and water goes into each harvest in terms of the transportation method and distance, the water used, and the entire carbon footprint. The result is a haunting series of images that reminds us that wasted food in reality is not so beautiful. Each photograph comes complete with information about the harvest of the food. The Vienna-based photographer details the exact location, time of year, and cultivation method used for each produce. He also examines how much energy and water goes into each harvest in terms of the transportation method and distance, the water used, and the entire carbon footprint. 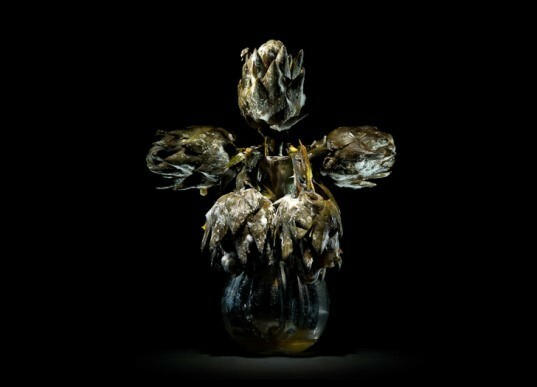 The result is a haunting series of images that reminds us that wasted food in reality is not so beautiful. Photographer Klaus Pichler took his title from a UN study that states of third of the world's food goes to waste. Klaus decided to highlight the amount of effort and energy that goes into producing everything we consume, and how much we discard.